You have come to the grand decision to corral your comrades and have them give you a Sin City send-off into marital bliss, and there is no better time for such an affair than Halloween weekend. From October 27, through the 31st, a plethora of palatable, guy-friendly events take place, meaning your crew will not be disenchanted by our offerings during the long weekend. Along with the quintessential Las Vegas bachelor party debauchery, there are enticing seasonal events on tap that fail to disappoint. Ready your bros for the zombie apocalypse by engaging in simulated realistic combat at Operation Zombie Apocalypse. With over $200,000 in special effects alone, this venue is a sure-fire way to get hearts racing and let your inner boy out to play. The two-hour attraction has visitors taking on sub-tasks as they face off against terrorists and zombies in a virtual reality setting. 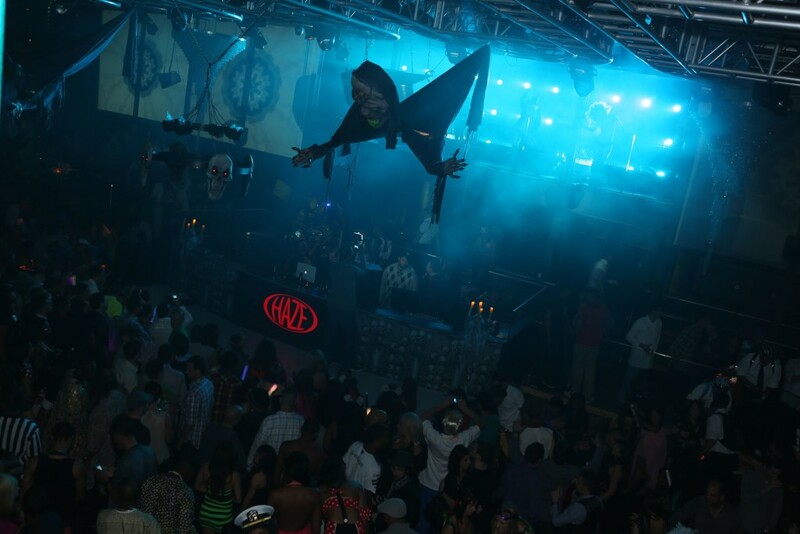 The Halloween edition of the Exodus Festival is an all-encompassing, five-day experience that thrills those who seek to take in an impressive lineup of DJs and performers at multiple popular venues. Those who partake are given a wristband granting VIP entry into ten in-demand nightclubs and pool parties. More than likely your band of brothers is hip to the music stylings of Lil Jon. Atlanta’s Grammy Award-winning artist is set to mix his signature brand of high-energy Top 40 and EDM on October 27 at Hakkasan at MGM Grand. Hakkasan, one of Las Vegas’ premier nightclubs, offers VIP tables for those seeking to make a statement while taking in Lil Jon’s set. Another notable nightlife option is taking advantage of the now-infamous marshmallow helmet-donning DJ’s appearance at Encore’s Surrender nightclub on October 28. Marshmello, the anonymous personality, has staunchly cemented his status as one of the biggest names in EDM. His fully loaded sets impress even the most discerning music aficionados. Touted as one of Earth’s best bashes, the Fetish and Fantasy Halloween Ball on October 28 is an anything-goes soirée featuring musical and shocking performance acts on more than one stage. This is the most adult event in the city the last weekend in October. Jewel at Aria is the place to be on October 30. On this night, electro house artist Steve Aoki bestows hip beats at the upscale club, incorporating his energy and attitude into every set. Should you be fortunate enough to be in town for the big night, Encore is once again the place to be on October 31. At XS, one of their solid nightlife offerings, a Paradise Halloween event featuring Jamie Jones and guests Hot Since 82, Lauren Lane and The Martinez Brothers, will be in full-swing. The party starts after ten and does not cease until the sun comes up, meaning you and the guys will have ample time to indulge in famed music and flowing libations. 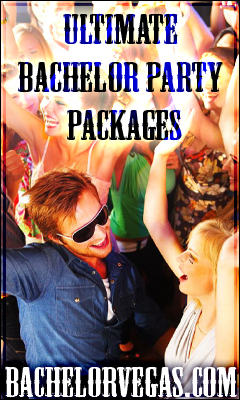 Our acclaimed city is where bachelor parties are meant to be held, and your decision to call bachelorhood a wrap here is applauded. You are encouraged to kick the celebration up a notch and engage in rousing revelry on one of the hottest weekends in town. We invite you to reach out to us to secure the ultimate Halloween Bachelor Experience.